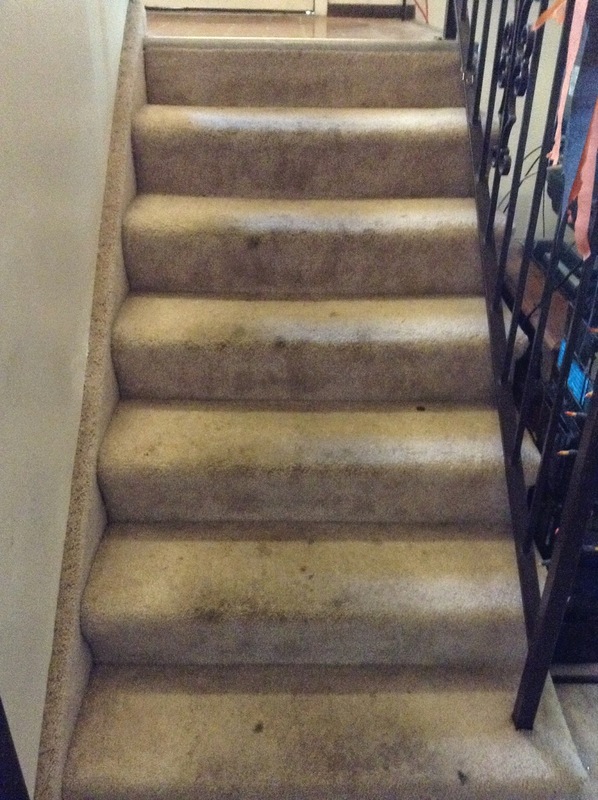 I saw a post on Facebook from a carpet cleaning company called Longhurst Carpet Cleaning. Their deal was great, $1 per stair and our stairs were terrible! We have lived here 3-1/2 years and do not take our shoes off when we come inside so you can imagine that they were pretty filthy looking. In fact, here are some pictures to prove it. Yea. Embarassing. I couldnt stand it any more and this deal was the best and so I scheduled them to come on a Saturday in October. It was the day of our ward trunk-or-treat party. Tony really wanted to borrow their company vehicle (a hearse!) for the trunk or treat but we didnt. That would have been cool though! The owner and son his scrubbed our stairs from 930 until about 1130am, with a brush , on their hands and knees. I was very impressed seeing them do that. And the results were nothing short of spectacular. My name is Laura and I have a guest post reviewing Idealshake! 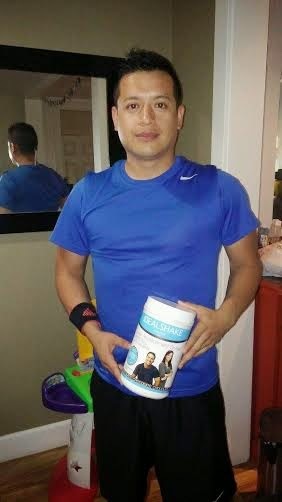 My husband Rocky and I got a chance to sample the chocolate Idealshake, a meal replacement shake that naturally reduces hunger and cravings. We were so excited to try this product because we were constantly on the search for the best meal replacement shake due to the fact that we are always on the go, and secondly because Rocky has a consistent workout program he follows at the gym and would always come home hungry! Rocky has tried many protein powders and meal replacements and I have always sampled from the huge bottle of whatever he decides to buy. It was always something new because the anterior never lived up to the hype. We both dislike having a chalky or artificial aftertaste! Crafts! Office Makeover! Roadtrips! Birthday Deals! 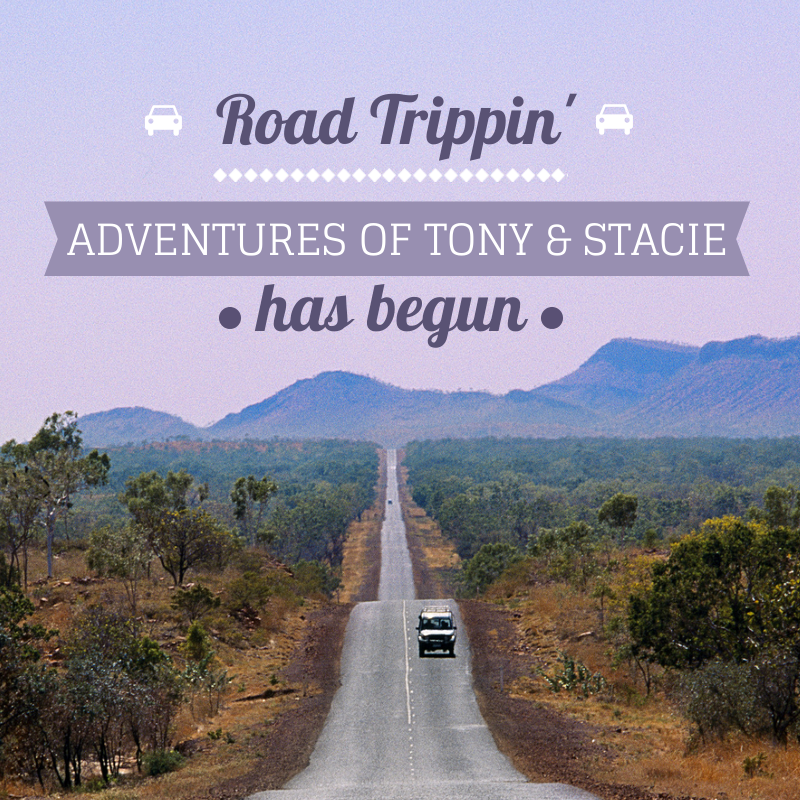 Trying to catch up on my blogging to let you all know what I've been up to! Since it's my birthday month and I subscribe to tons of emails, I've been getting lots of birthday freebies and deals. I posted all of them here so take a look and see if you could use any for your birthday! 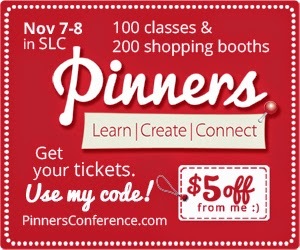 They are specific for Utah but some of the deals can be used in other states. 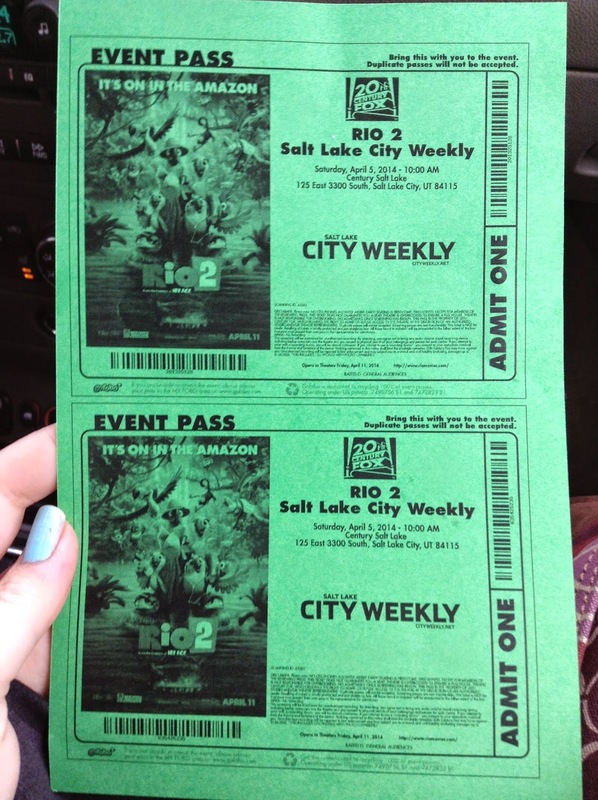 Recently Tony & I went to Lagoon and had a fantastic time! It was so so fun. I wrote about what we did and also some tips/tricks to know before you go. I'm a huge fan of hot air balloons and will travel near or far to go see them. Lucky for us, around the 4th of July in Provo they have 20-30 hot air balloons come and last Saturday we got to go see them take off. Salt Creek Imports Trailer Rental Review! 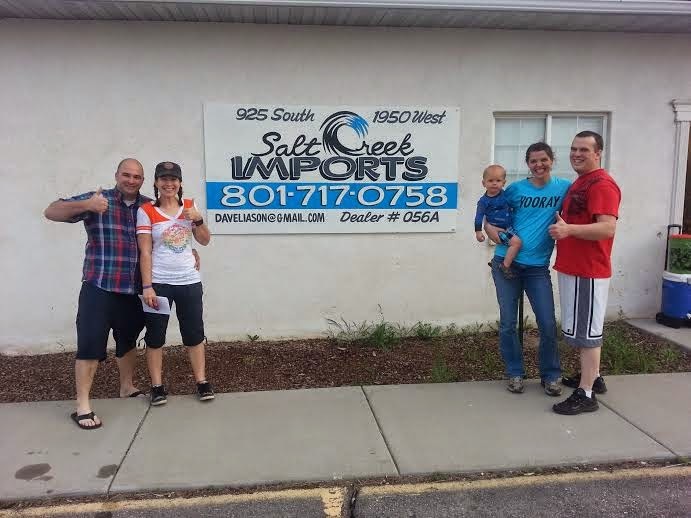 Salt Creek Imports is located in Springville, UT and recently started renting out a few trailers they acquired to people who wanted to take them camping. It's a nice way to test out a trailer for a few days (if you are in the market for one) or just try a different way of camping. It's so easy to have access to a tent but not always as easy to get access to a trailer. But now you can! Salt Creek Imports is so easy and friendly to work with. Last weekend, Tony & I and our friends Lindsay, Garrett & their son Rylan , we all headed down to pick up a trailer to camp with for the weekend. Dave is the owner and he met up with us when we arrived to give us a tour and information about the trailer , to sign a waiver form and put down a deposit. We rented the 31' trailer which weighs about 7700 lbs. Garrett's diesel truck was able to pull it with no problems. 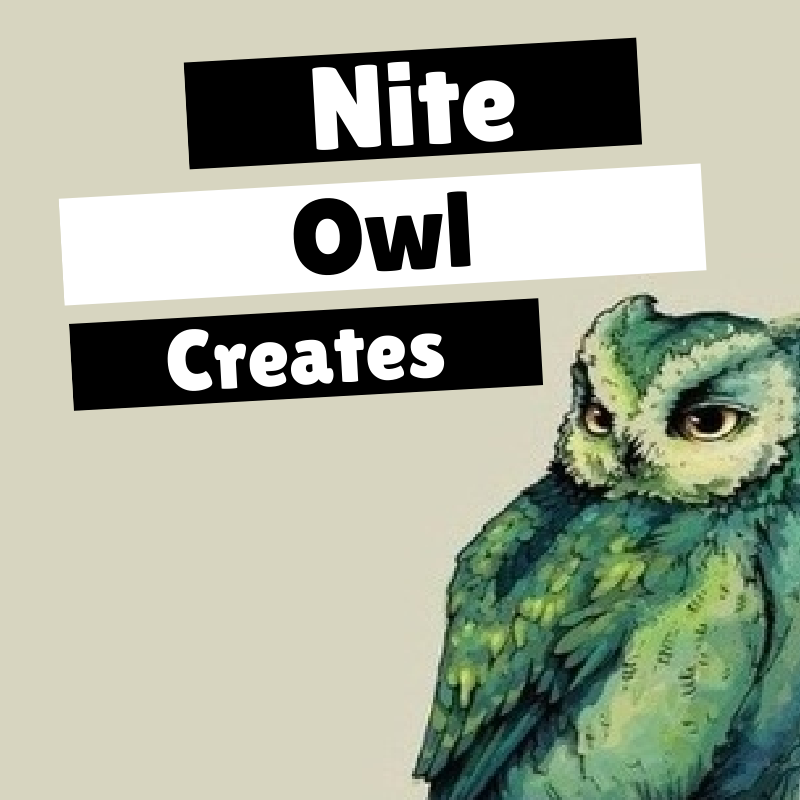 I apologize to anyone I might have mislead in my last post that said the weekly posts were back. Apparently, that is not the case yet. I have slacked on all my goals for the year and need to give an update about that but not right now. I hope to get back in to my groove and routine even though many things have happened and been going on to disrupt that. Not bad things, just life things. Tony in what I feel is the hardest semester ever right now! My sister here in UT had her baby and I've been trying to help her out a little more often, esp. when her husband was out of the country. Plus its always fun to hang out with her and my nephews. So many roadtrips, pretty much every weekend in May there has been somewhere we/I need/want to go. It's been great but has crunched my time for things that I normally had time to do. 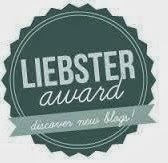 How have I not blogged since the beginning of the month and now its the end of the month! Aiai! 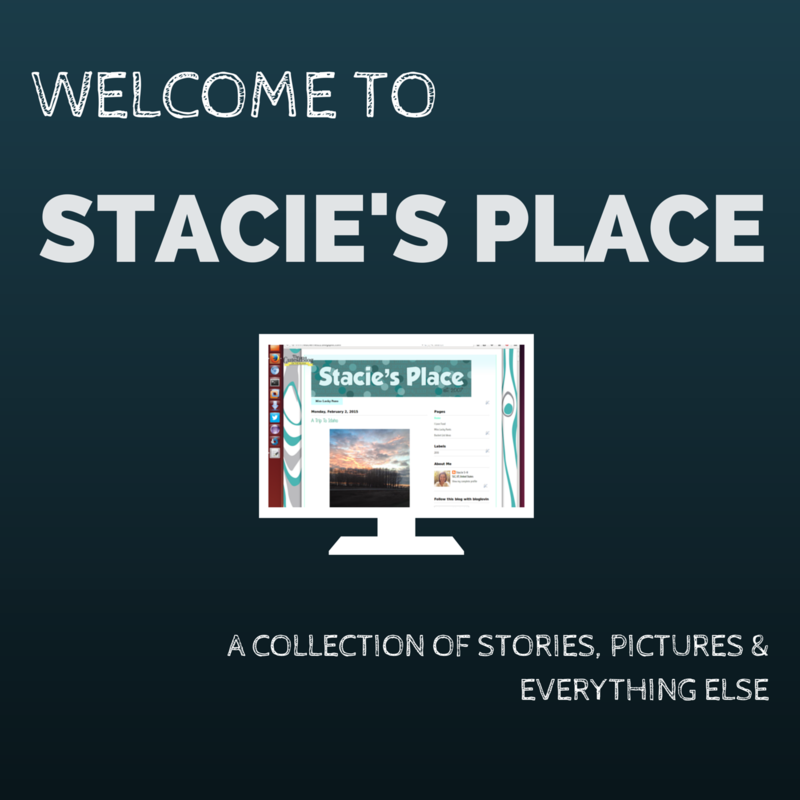 How are all my blog reader friends doing? I woke up this morning to a very overcast sky and on my way to work it started hailing. I made it inside and when I looked outside an hour or so later, it was snowing. At least it was sunny when I got out of work for the day. There is a hard freeze warning set for tonight, made me glad I haven't planted my garden yet. Or that Tony & I have not gotten more bees (our 3rd set :-/ ) yet. I've been busy clearing out clutter , piles and trying to organize the things I do want to keep, better. Lots of bags to donate. A few things I will try to sell. The rest has been going in the dumpster. It's so refreshing and I wonder why I dont do this more often but it does take time! and I also need to get in the mood to be on a cleaning frenzy. Wheee check out this awesome box I am getting to review and share with you guys. 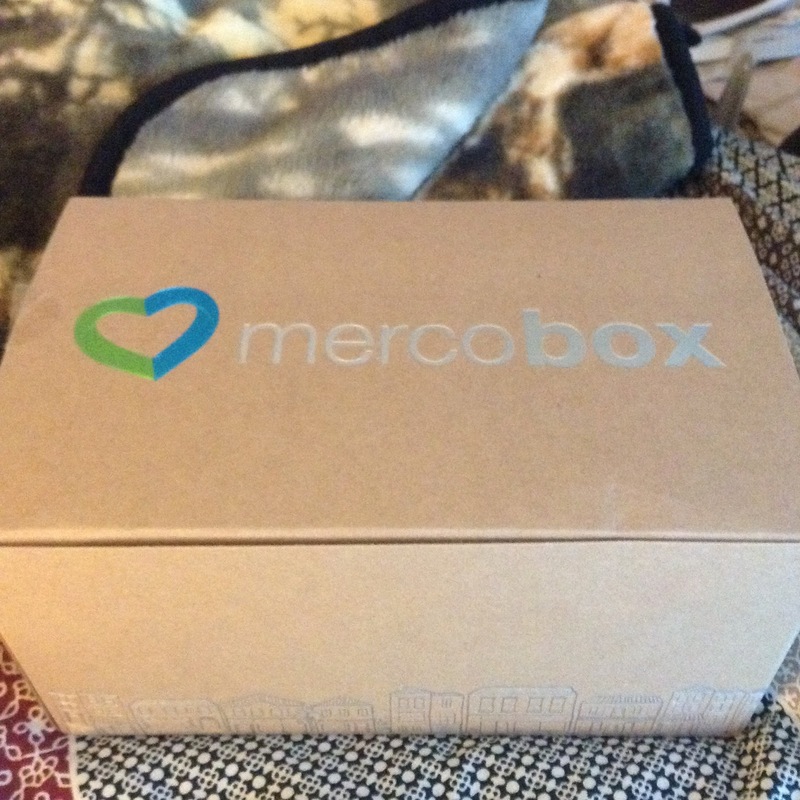 It's called a Merco box and it arrived to me full of fun things from Utah! I really love supporting local businesses. With every box purchased, that money goes right back into the community. So good! I was most excited about the soap nuts from Eco Treasures because we can use them while camping and I am interested to see how they perform in the washing machine as well. The Les Madelines 3 madlines were so so delicious. I want to track that company down and get some more! I also tried the Meals that Transform power bar. It was soft, not crunchy and hard. It had a whole bunch of ingredients in it and I was not sure how I would like it but I ate it at work when I was really hungry and it did great in settling my growling stomach. I hope to use the other coupons and products soon! I won two screening passes (Thank you Salt City Weekly!) to see Rio 2 this past Saturday and I was so excited because! A) I love winning contests B) Tony and I had seen the first one on our honeymoon C) It's been awhile since we have been able to go to a movie screening D) I LOVE BIRDS!! We almost turned around when we got to the theater because people were holding their green papers and walking back towards their car from the movie theater. I decided to jump out and double check and I am so glad I did because there were still seats left. People had just been walking out to their cars to put their phones away because they would not be allowed in to the movie with their phone.